What is it about a cast-iron skillet that makes food so good? As we were working on our new cookbook, Southern Cast Iron, I was pondering this very question. You just knew growing up that when that black beauty came out something great was happening in the kitchen. Through the years, the iron cookware has given way to more modern non-stick versions, but all have their place in the kitchen. I don’t remember any other cookware in the kitchen when I was growing up, but I do remember the black iron skillet. Talk about crunchy cornbread…it made the crust just perfect. But that skillet was the sacred piece of cookware. Nothing could touch that baby with soaps or harsh cleansers. It was seasoned. I got a new iron skillet as a gift once and thought “why is this silver?” Then it dawned on me why seasoned skillets are guarded. I started the seasoning process of oiling and warming. It takes years to really get good! Mine is black today after years of use, and it cooks the best country fried steak and gravy. It’s the sacred skillet. Mom had the corn-stick pan where each piece looks like an ear of corn. There are many other great shapes and sizes. Neal and I were antiquing in Tennessee several years ago and came across a cast-iron pan that resembled a muffin pan, but the muffin cups were round, like half a tennis ball. And did I buy it? No, and I have regretted it ever since. So now that is my “thing” I am searching for. Order your copy of Southern Cast Iron today! I would love to hear your stories of cooking with cast-iron or even some great recipes you have. What is your favorite thing to cook in cast-iron? Thank you, Phyllis, for sharing your inspiration and joys of life. I so appreciate your writing. Using a 12″ skillet our family makes one giant German pancake served with fresh raspberries and topped with raspberry cream. Three generations have enjoyed this delicious treat. Perfect for a Mother’s Day brunch. I can only say that “mother knows best.” I wondered when I began unpacking in my new home following my wedding, why there was a small 8″ cast iron skillet in one of my suitcases? While I received many wonderful gifts and was grateful for them all, this skillet is the one that is used almost every day (even after 45 years). She knew we would need our cornbread. We sometimes say that we cannot survive for long without it. Thank you for “The Ribbon in My Journal. I related to many of the posts. That certainly would have made a great Mother’s Day breakfast, next year I’ll tell my Hubby! Here’s an unusual use for a cast iron skillet: heat it on the stove, empty, for about 10 minutes. Then carry it into the bathroom (with potholders!) and place it on a trivet in the bathtub/shower. Get into the shower, turn the water on, and instant sauna! Pan fried okra can only be perfected in cast iron skillet. Go to a hardware store, Tractor Supply, Atwoods etc. They have cast iron cook ware. My grandmother always cooked from her cast iron skillet and it was one of the things that I wanted of hers. I love using mine. The heft. The way it cooks. Popping it from stove to oven. It cooks the BEST frittata!! There is nothing like a cast iron skillet….and no other way to make cornbread except in one! 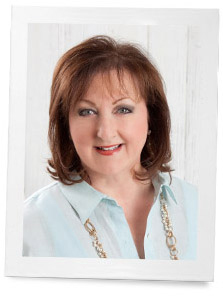 Phyliss, I just ran across your lovely blog and wanted let you know we have a friend in common….Melissa Lester. Melissa and I met several years ago through blogging and her Mary Ashley and my granddaughter Taylor took dance together for a couple of years. Melissa is such a talented and Godly woman…we miss her here in Montgomery! My son and his family live in Birmingham and I’m hoping that Melissa and I can visit again when I’m up that way. Please tell her Judy said “hello”! And I would love to have your visit my blog at gracioussouthernliving.blogspot.com! Hi Phyllis, I’m Ann’s grandmother. We enjoyed having your family at the CORNBREAD FESTIVAL last week. . Hope they enjoyed their tour of the Lodge factory. Beth came South Pittsburg, TN to the festival when she and Ann were room mates at Lee, several years ago. My husbands step mother gave me my first cast iron many years ago and I use it constantly. I have 3 sizes in the kitchen and one in the travel trailer. I also have the abelskiver pan but don’t make them very often. I also have a griddle. Our son makes a “dump” cake in his Dutch oven,when we go camping, that is awesome! I will have to order the new cook book! I haven’t ever owned a cast iron skillet and reading your blog today ~and the lovely comments~ it looks like I have been missing out! I saw a ‘used’ one at a local thrift shop last week and walked right on past it; I’ll be making a trip back there to purchase it. Your new book is going on to my mother’s day wish list. There is nothing like a great cast iron skillet…you will be amazed at the many uses you will find for using it. I’ve never cooked with a cast iron skillet, but I have memories of my great grandmother’s American fried potatoes. They were so crispy and delicious. While everyone else cooked on a traditional gas or electric stove, she used an old farmhouse wood stove. My grandmother had a potbelly stove and used her skillet for frying everything…. I just joined your blog. I was just thinking today how I need a cast iron skillet! Next paycheck I’m going out and buying one! I do stop in at antique stores and thrift shops. I know that the antique mall nearby has two more tart/muffin pans nearly unique as mine with the scalloped cups like flowers. The prices are more affordable than new often enough. You can find older casted ones that they don’t copy nowadays. You are lucky to find great shaped cups in cast iron.. I am still looking for the round ones. I was so blessed to inherit my great grandmothers cast iron skillet. It is so old I really can’t date it but is dark black from four generations of use. The sides are thicker than the bottom which tells me the 100yrs if use has worn away some of the iron. It makes the most incredible cornbread. I remember my grandmother’s Sunday fried chicken and my mothers brown gravy stew. I just cooked a big pan of potatoes, eggs and onions for my husband one evening this week. Talk about good! My daughters are now grown with their own families and I don’t know how to split the skillet or which daughter will value it more! I tell them all the time how old it is but it has not made an impression on either one. Is there something I can do to inspire one or the other? I would hate to die and it be thrown out!!! Time for a good cooking afternoon with them and just ask…I hope no one ever has the cast iron thrown away, Seasoned skillets are the best. Ginger, I would lead them to this blog site, and have your daughters read these blogs here, that might do the trick, I truly hope so! That cast Iron skillet cannot be thrown away! Lots of luck. I too, now have a favorite cast iron pan. Our house burned down and was a complete loss on Dec. 7, 2011. I lost everything as we ran out at 6am in our pajamas! All fell through to the basement and I wondered about my cast iron stew pot and it’s lid I found at a GoodWill store. In the process of “re-stashing” my kitchen, I found this wonderful cast iron tart, or muffin, pan at a consignment store. I took a chance and bought this neglected, rusted pan and learned how to clean and season it by studying on-line sites. I filed the rust out and smoothed the one nearly ruined tart cup. Luckily it survived my attempts. I have baked small cakes in this pan from a British cookbook and they came out wonderful. I am planning to have a Spring Tea for my friends that joined me in their first tea at my original home. I will surely bake something in my new favorite tart/muffin pan again. My friends are looking forward to joining in on having another tea here in my beautiful new Craftsman home on our original home site. I have taken a picture for you of this neat pan. And yes, Aebbelskivers, cake-like balls with apple or other fruits or chocolate chips in them, are fun to make. I am enjoying this blog and the friendly feeling amongst us. Let me know if you want to see the photo. Our blog group will be wonderful….we have so many great people who are members. Thank you for sharing. Tell all your friends about it. It’s all I use! Seriously. Even though I am only 43 and don’t remember any of my grandmothers using one, they are all I use. Feeding my family of 9 three meals a day 7 days a week means these skillets get lots and lots of use. Love them. Am looking for more to start gathering some for my children to take with them to their own homes someday. Could not do without my cast iron skillets, corn stick pans, & several other pieces. I have used them for many years, just as my Mother did. 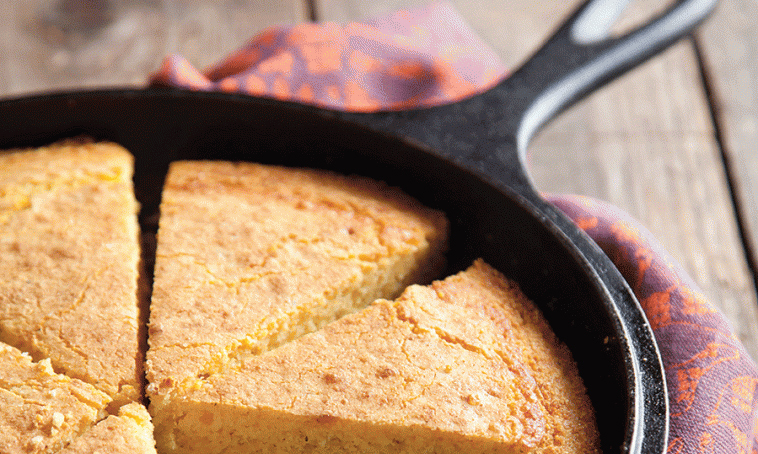 There is nothing like Southern cornbread cooked in a cast iron skillet! My favorite thing to make in a cast iron skillet is a Fritatta. My mom and grandmother certainly made many of them. Starting with pepper, asparagus, zucchini, onions almost any kind of vegetable you choose and mix with eggs and cook in a cast iron frying pan. They are absolutely delicious. Add some crusty bread and a salad!! I do not come from the South and I’m sure my family didn’t make cornbread in them but I do remember my grandmother making a plain vanilla cake in the skillet. Every homemaker should own one! My Mother fried the most wonderful fried chicken in her cast iron skillet, and just thinking about it makes me long for that crunchy, moist chicken. I bought a cast iron skillet, convinced that I could get the same results my Mother did. Not so. I can duplicate many dishes Mother did, but not her fried chicken. Chicken fried steak from rib-eyes, pounded thin. My mother, great]aunts, grandmothers, did not have iron skillets. I think that someone ha the iron cornbread molds. And that was great. I never used the iron skillet either, but I have visited people who used them. Very interesting. At my age, and with extremely low vision, I let my daughter do most of the cooking. She loves to cook. She recently bought a Dutcth Oven, and I’m not sure what it is. But I tried to move it, just lifting the lid first, and I couldn’t even pick it up, it’s so heavy. I don’t think I could handle an iron skillet now. But I’ve always thought that must be the thing to use for great fried chicken, etc. I’ve been looking for a good recipe for the old fashioned, fried white cornbread. My mother used to make that. She didn’t leave recipes. It was a handful of this and a pinch of that! Rest of the ladies seemed to cook that way, too. I did get a few recipes, after years of watching them coo, ,when I married, many years ago. But some of the simple, ordinary tings they cooked were just taken for granted. I think it is similar to the way you make potato pancakes, only you use white corn meal. That was so good with goulash, (ground meat, onions , canned tomatoes, sometimes a little green pepper, salt and pepper, and water) ‘ fried okra, corn on the cob, and sliced tomatoes. And the fried white cornbread. Wonderful spring and summer meal! An older cousin in Louisiana told me that she tried my method and also added Jalapinos. I don’t care for spicy things, hot peppers, etc. so I kept mine plain. I do remember people seasoning those pans, and often storing them in the oven. I’ll bet that fried white cornbread and other things like fried green tomatoes, fried okra , French fries, fried chicken, etc. would be sooo good in iron skillet! Perfect pineapple upside down cake. That’s what I remember. Some time ago, after my Mother’s mother passed, Mom gave me her mother’s set of 4 cast iron skillets, (Mom had her own). That was probably 35 yrs. ago. What a gift that was! Several years ago I married my Norwegian love (second marriage) and moved here to Norway. When my massive crate arrived and was unpacked he about flipped out to see these beautiful black skillets! We both cook like crazy people and he grew up using them and has a great appreciation. It is now the only thing he uses when preparing our moose or beef steaks – first on the stovetop and then into the oven to finish. Incredible! We use them for so many things and they keep that awesome finish my precious grandmother & grandfather created from years of cooking. My smallest one disappeared years ago and I miss it whenever I think of it. I just made Pioneer Woman’s pineapple upside down cake in my big iron skillet. Boy was it good! 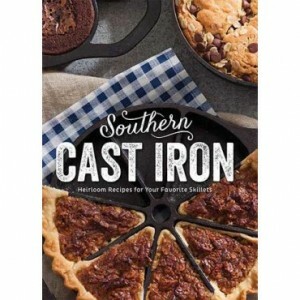 Can’t wait to add the Southern Cast Iron cookbook to my vast collection! I had forgotten about my Mom making pineapple upside down cake in her/my skillet! We all loved it. If I remember you put brown sugar in the bottom of the skillet, sliced pineapple over the brown sugar, a maraschino cherry in the middle of the pineapple slice. Mix a white or yellow cake mix and pour over the pineapple. Bake as package directs. Is that how you do yours? you need to put butter on the bottom first, melt it then add the brown sugar…once it is all meld together, add the pineapple, save the juice to add to the cake recipe instead of water… oh around the pineapple rings put some walnut pieces or chunks…and of course a cherry in the middle of each pineapple slice.. I had totally forgot about the butter but think I would have remembered when making one. I think it may be on our menu soon. Thanks. I didn’t know that a cast iron skillet could help a low iron count. My husband suffers from anemia at times. I will definitely try cooking in my cast iron skillet. I haven’t cooked in it much because I didn’t know how or what you could cook in it. I just knew my Mom had one so I thought I should have one. pan. I have one and use it often to make these delicious Scandinavian pancakes. You can find these pans for sale, as well as recipes, on the Internet. I would like to share a story about my iron skillet. My parents were married in 1940. My Dad’s parents gave them a iron skillet for their wedding gift. I am sure it was a big purchase for them at that time. They lived in the hills of WV. My parents used it probably every day. Many pans of cornbread. Before my Mom passed away in 1995 she gave me her skillet! It was very crusted with a black burnt on “junk” on the back side. I worked in an office where the guys repaired car motors, and buffed off grease, etc. I ask one if he would buff the outside of my skillet. Looked great. I still use my 74 year old skillet and it’s much nicer on the outside! Thanks to my Momma for sharing her skillet with me! I hope to be able to use it many more years and then pass it on to one of my daughters. Thanks for letting me share. Fried fish,chicken and salmon cakes are the bomb in a cast iron skillet. Great post, Phyllis! Cast iron = Americana! One of my favorite recipes is called Inda’s Cornbread Casserole totally prepared in the cast iron skillet, our Star of the Show! This sounds just like my baked corn casserole that I make in a 9 x 13 pan but next time I will use my iron skillet ! Never thought about using that! Kay, yes please say homemakers and Mothers, they are coming back in fashion which I am glad to see. In my early years I was a homemaker and loved it now I am a full time studio fiber artist but I still love to cook, iron and actually dust. I get a really warm and comforting feeling from using my iron skillets, I have two one for baking and making cornbread the other for frying and creating stews. I agree with you about Hoffman Media publications they let me know I am valued and what I like to do is still not just ok but appreciated. Thanks Phyllis for creating these wonderful thoughts right before Mother’s Day. Youcan find the cast iron corn bread molds and other cast iron dishes at Mast General Store in N.c. They may even have a Tenn. store. Love cooking in cast iron. I cannot wait to see this cookbook! Cornbread is the best when cooked in a cast iron skillet! We also blacken fish on the grill in cast iron. I remember putting my Mom’s in the dishwasher. She was not happy about it. That was before I understood the magic. I love using my cast iron griddle to roast veggies in the oven. I let it preheat with the oven and enjoy the sizzle when the vegetables hit the pan! My husband does all the cooking. Yes I am spoiled! When we travel he is checking out the kitchen shops. He has gone through many variations of pots and pans, but he only ever had one black skillet and it still perfecting dishes after 40 years. I do not have any great recipes, but I remember not having an iron skillet until after our oldest son was 3 and he had a low iron count. One of the things our pediatrician told me to buy was an iron skillet and start cooking in it, as it would bring up our sons iron count. Guess what? It did! Why did I not have an iron skillet before then, well it was because I always had thought it was just for frying food, and I did not fry my food anymore. I now have 3! Phyllis, do you have a favorite recipe from the book? I got my copy in the mail last week and have to say the orange rolls are stunning and downright yummy!